When the grandeur of diamonds blends with a creative design, the result is a fabulous piece of jewelry that captivates with its visual allure. This lariat style necklace does exactly that! Set in 14k white gold, it showcases two sets of triangular frames that are embedded with glorious, pave set lab grown diamonds. A string of fine metal loops connects them to each other and creates an alluring elongated arrow pattern. 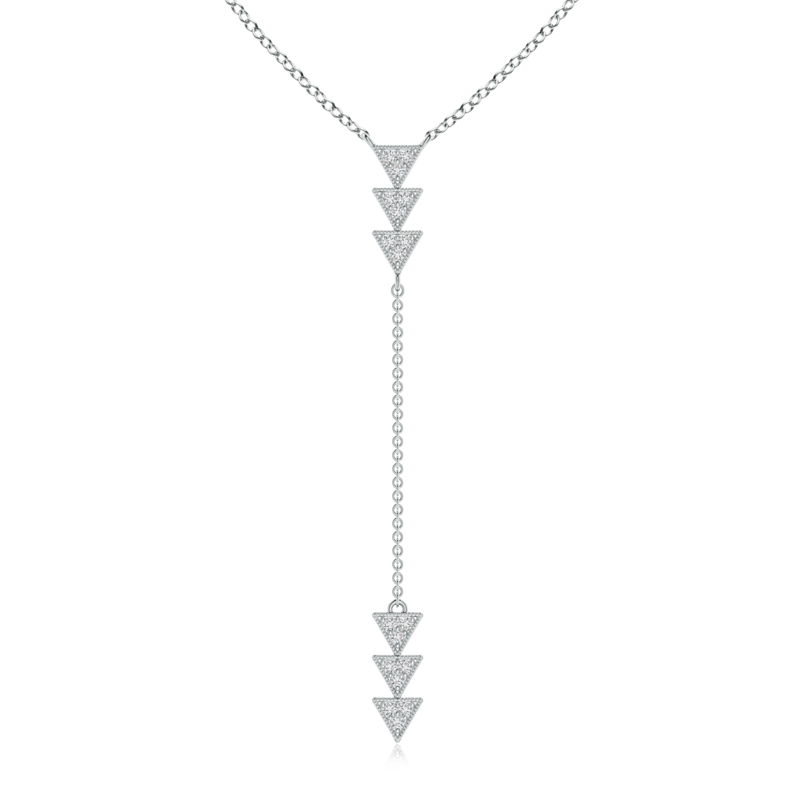 The contemporary design of this diamond triangle necklace certainly deserves all the admiration it receives.